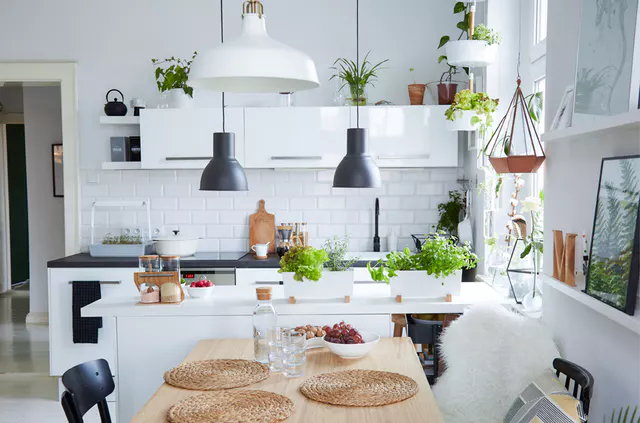 It’s always great to display plants in the kitchen whether you have a large or teeny-tiny space. 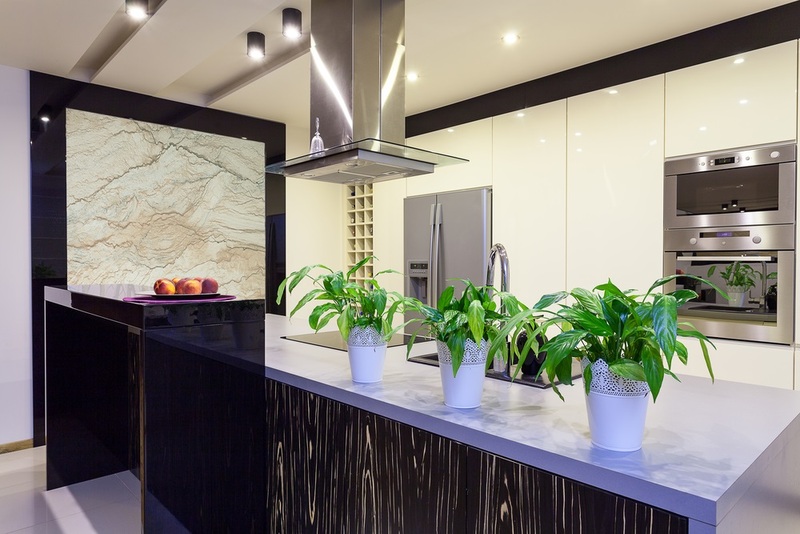 There are good reasons why homeowners must display plants in the kitchen. For one, it brings the outdoors inside. 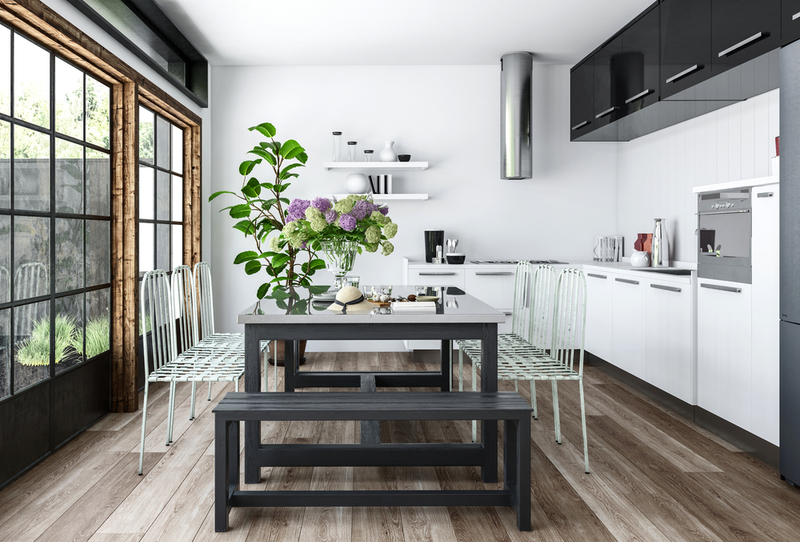 Foliage adds life to the kitchen — both literally and aesthetically. 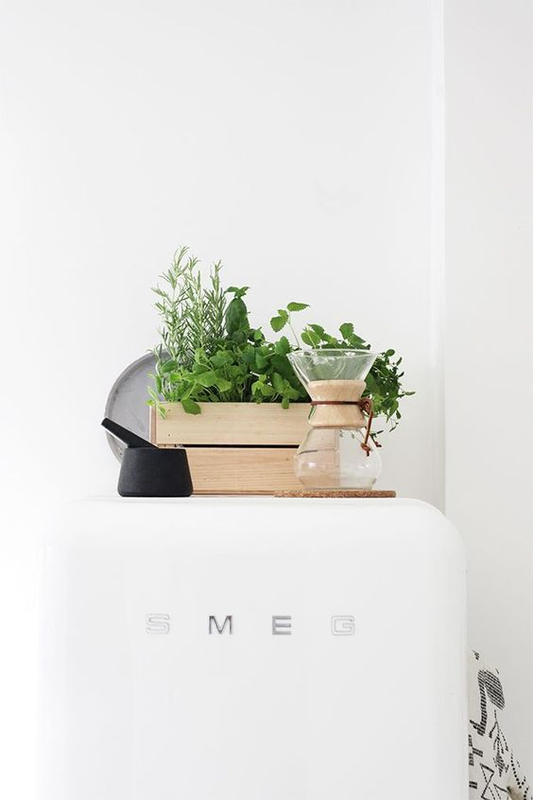 It also lets you grow your own food and herbs. 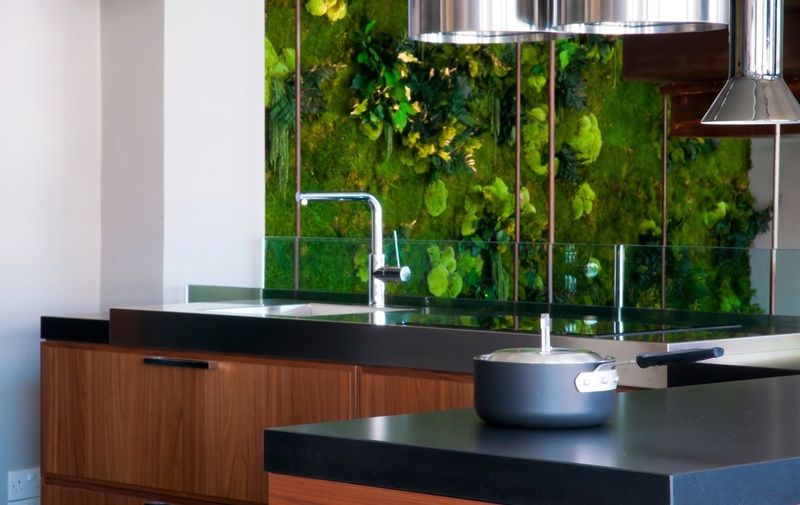 Whatever your reason may be, you can incorporate greenery in the kitchen in two ways. You can go full-scale with a vertical green wall or subtle with potted plants. 1. Do you have open shelves in the kitchen? Organise its contents and make room for a few potted plants. 3. 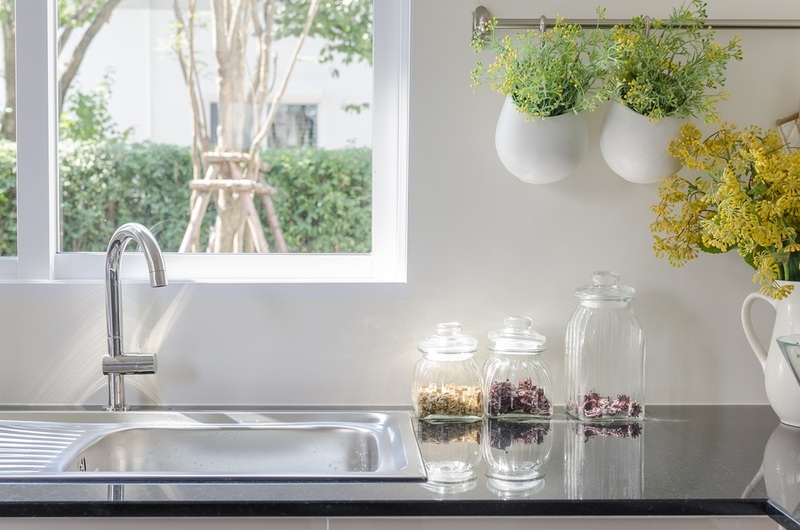 Do you have a window in front of your sink? Do not waste all that natural light! Use this spot to grow your greens! You can place yours on the window sill. Or, you can build a shelf across the window for more storage. Check out the DIY project here. 4. Apart from building a shelf, you can also use dowels, curtain hanging rings, pots, and jute strings. Follow the steps of this DIY-project here. Here’s our version of it. Instead of pots, we used matching flower vases. 5. This next DIY-project is the same as the previous two, but it requires you to drill holes on wood and hang steel cable from the ceiling. Go here if you want to recreate the project. 6. 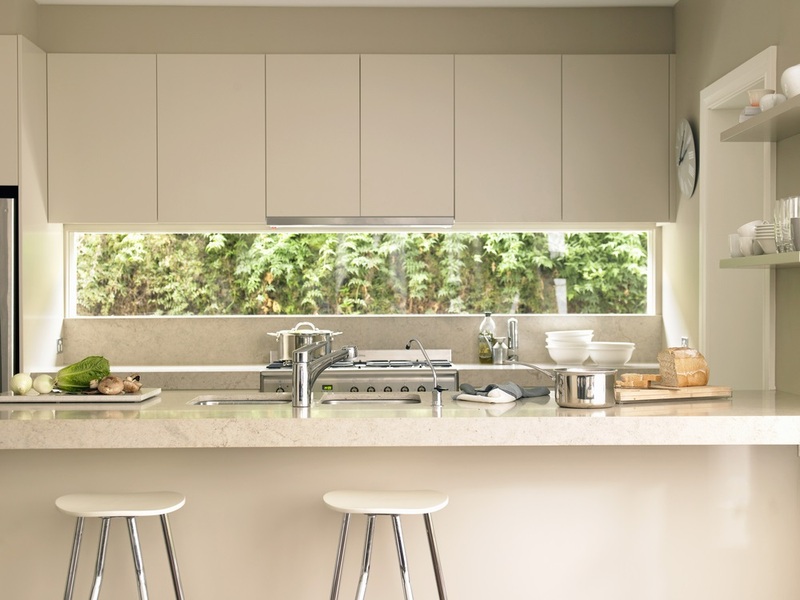 Do you have a wide empty wall in your kitchen? Consider a vertical indoor garden. 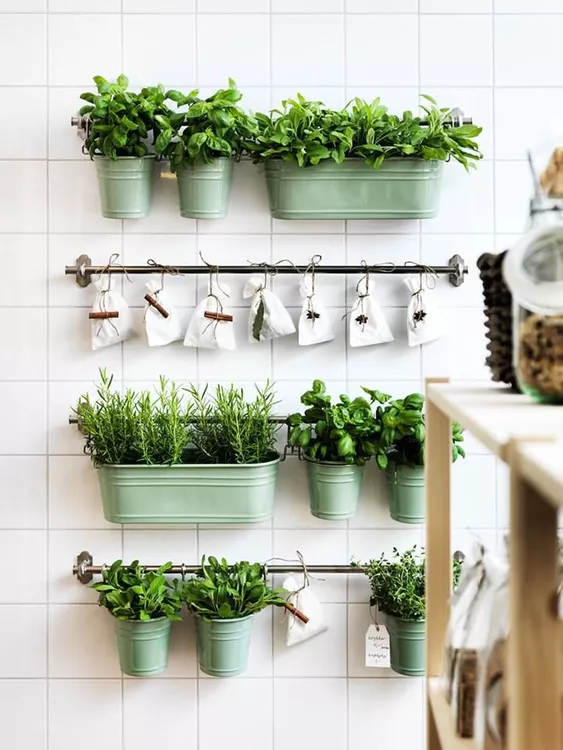 You can grow your own herbs or display decorative plants in the kitchen. If you can afford a vertical garden system, invest in one. It’s a natural air purifier in the kitchen. In this loft house, the kitchen on the upper floor shares a view of the house’s indoor vertical garden. 7. 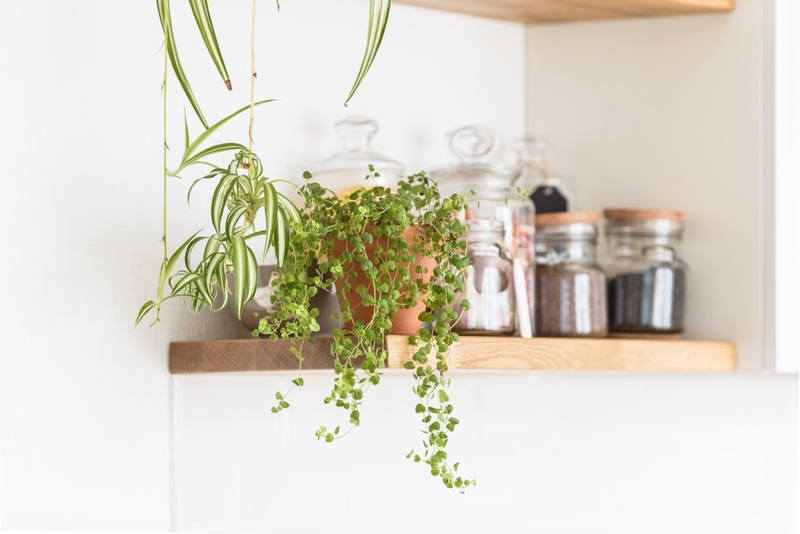 If you’re hesitant to grow or display plants in your kitchen, consider building a window backsplash that looks into your garden. 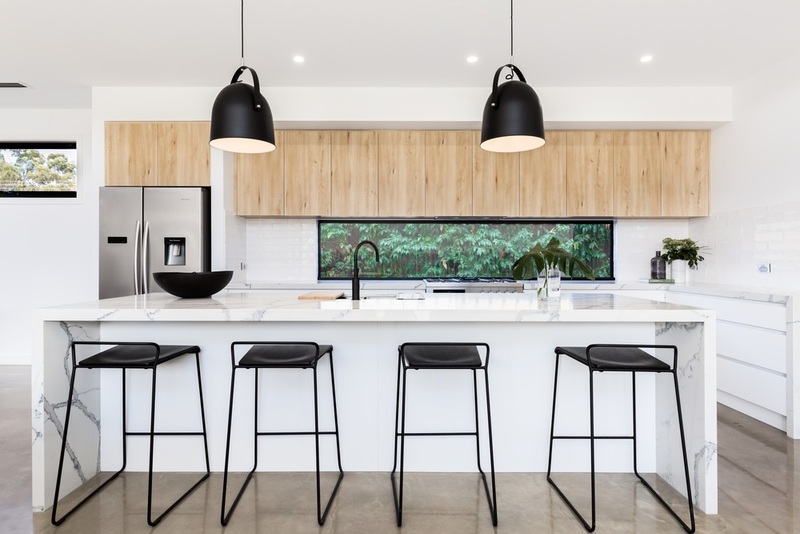 Design a minimalist kitchen so nothing competes with the colours and textures of the plants. 8. Another way to pull outdoors in is by opening your kitchen to your garden. When you connect your kitchen to your backyard, you don’t have to grow so many plants indoors. 9. Not a DIY fan? Shop for clever planters. Look out for IKEA’s Bittergurka planter, which can be stacked and hung from the ceiling. 10. Don’t forget to include their Fintorp wall storage solution in your shopping cart. 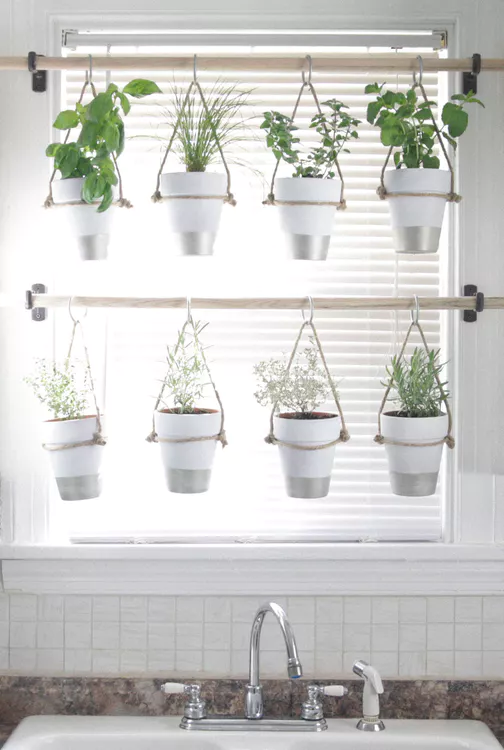 These can help you create a low-cost vertical garden. 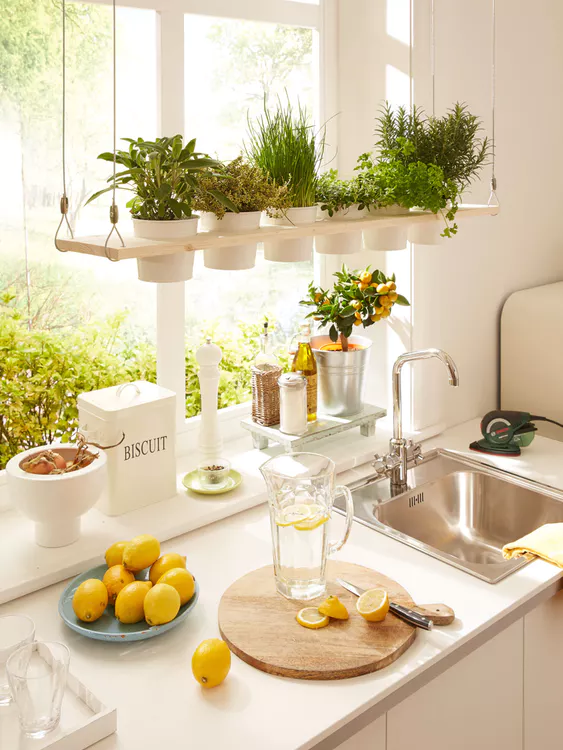 BONUS: Display potted plants on top of your kitchen counters and dining table. Plants will be a lovely addition to your lunch and dinner table arrangements. 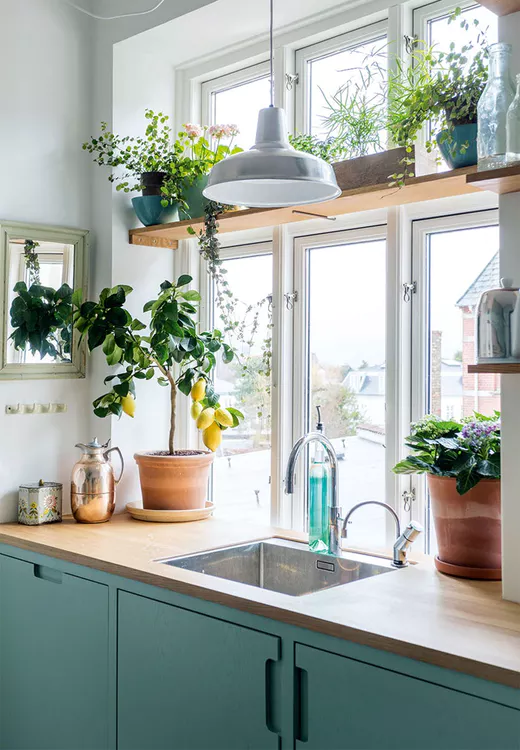 Are you looking to add greenery to the kitchen? Which of the above ideas catches your eye? Work with highly-skilled building designers in Adelaide, SA. We design healthy, ergonomic kitchens.